“Content is King” has been a steady refrain in the marketing industry for decades, one which brands have poured a significant amount of time (and budget) into while struggling to prove it has a real impact on their bottom lines. Content marketing has a ROI problem, and Nativo built ContentQ to solve it. ContentQ provides brands with insights across all paid, owned and social content and intelligently recommends additional opportunities, ultimately helping brands realize their Return-on-Content. ContentQ’s invaluable impact was recognized with Nativo’s recent AdExchanger Award nomination for Best Measurement and Analytics Platform, selected for the honor amongst over 400 submissions. We chatted with Ed Delfs, General Manager of ContentQ, to learn how the platform is the knight in shining armor agencies and brands need to measure and scale their content marketing investments. Can you tell us a bit more about the major problem ContentQ solves? [ED] ContentQ is the first content analytics tool that allows brands to map their content marketing efforts directly to specific business goals. Brands know instinctively that well designed content plays a critical role in the user journey from awareness to conversion, but no tool existed to directly measure the impact of content on specific business outcomes. ContentQ solves this problem. Now, brands are able to directly measure their Return-on-Content and justify their content marketing investment. Executives are already requiring this measurement given the cost and complexity of developing effective content marketing strategies. What’s the current state of content measurement, and how does ContentQ make the process easier? [ED] Currently, companies primarily rely on engagement metrics (views, social actions, clicks, time spent, scroll depth, etc.). These metrics don’t show a direct correlation to conversion and revenue lift. Using ContentQ, marketers can understand the specific pieces of content that have the most direct impact on specific conversion events such as product sales, a newsletter sign-up - you name it. From there, ContentQ provides specific structural characteristics of high and low performing content such as average word count, common keywords and tags, image count and composition. Nativo’s client services team aggregates this performance data into a suite of insights to build specific content development recommendations. These recommendations help brands create a data-driven approach for the next wave of their content strategy. For creative teams lobbying to prove the value of content, ContentQ’s insights provide measurable data to support the impact of their efforts. This is a new and unique way of thinking for most organizations. Part of our goal is to help clients understand that aligning the creative, media and analytics teams more closely is great for business. Why is it important to measure conversions in addition to content engagement? [ED] It is important to measure engagement metrics. However, when we remove all of the buzzwords and hype within the digital advertising space it all boils down to companies wanting to sell products and drive revenue growth. ContentQ allows Nativo to sit next to clients as a strategic partner and help them achieve conversion and revenue goals. These are the hard metrics that executive teams truly care about. How does ContentQ measure engagement and conversions? [ED] First, Nativo works with clients to identify their content across owned and operated sites, sponsored and paid content and social feeds. Using a content tag and innovative AI, ContentQ creates a living library inclusive of all the content. Each piece is then tagged and associated with the pre-specified conversion events. When a user takes an action, ContentQ indexes the relative impact and effectiveness that each piece of content in the library had on that specific action. For example, a brand has 23,500 pieces of content in their library. ContentQ ranks every piece of content in terms of impact on conversions. Then it analyzes the top 25 highest converting pieces of content and creates a roadmap for the brand’s content development efforts, allowing them to produce fewer but more effective pieces of content moving forward. This is a real example, and was a serious eye opener for them in terms of both revenue impact and cost reduction. You have brought SaaS platforms to market throughout your career. How does ContentQ’s adoption compare to others? [ED] We took ContentQ out of beta in early Q3 of last year, and since then we have many partners using the tool at various levels and several active discussions happening per week. Overall, adoption and interest has grown at a rapid rate. Some of the fastest that I’ve personally seen for a complex, enterprise level software product. After the frenzy around content marketing in recent years, we’ve now reached a critical inflection point in the space where CMOs and CFOs are demanding validation and justification for their multimillion dollar investments in content strategies, teams, production and distribution. ContentQ specifically solves for this requirement, and the crystal clear design of the product helps realize the value immediately. It’s been a huge hit with almost every brand and agency that has seen it, and we expect this high level of adoption and growth to continue throughout 2019 and beyond. Is there a particular brand profile that would be a good fit for ContentQ? [ED] We use a combination of unique users, page views and on-site conversion events for a specific brand to determine if they’re a great fit for ContentQ -- the higher the volume of each variable, the more likely it is to be a great fit. We’ve had the most traction in the financial services, insurance, telecom/electronics and auto categories so far, and interestingly, CPGs are particularly intrigued with the competitive analytics and competitor content libraries versus the competition, which makes sense given their relative lack of online conversion events. How do brands react when you show them ContentQ? What are some of the features that they are excited about? [ED] There is an industry-wide reality check taking place in content marketing right now. In many ways native advertising and content marketing grew as a reaction to the challenges that developed in the world of display advertising, including declining performance rates, the adoption of ad blockers and the dominance of Facebook and Google. Many major brands went all-in on becoming “storytellers” with the goal of driving deeper relationships with their customers. This resulted in allocating significant investment toward developing in-house content marketing teams. These teams partner with agencies on content strategies or leverage the expertise of the wave of the new content studios. The reality, however, is that being a good storyteller is really hard and expensive. With ContentQ, brands love the fact that they can engage with data-driven content development tied to business outcomes so they can justify their content investments internally. Again, this can be a daunting shift for teams that may not have been held accountable for business goals, but once they understand the value it is empowering. It also allows loosely connected teams to work together more closely. Also, we fully recognize that people are busy. So we added a suite of shortcut tabs and automated reports that provide partners with key data segments and insights - which have been well-received. Is ContentQ a better fit for brands or agencies? [ED] ContentQ provides different, but equally valuable, benefits for both brands and agencies. For brands, ContentQ immediately improves the efficiency and effectiveness of content marketing efforts while reducing costs and aligning internal teams. For agencies, ContentQ provides the opportunity to show themselves as being strategic revenue growth partners. ContentQ is directly integrated with Nativo’s native marketplace. This is huge for brands because they can seamlessly distribute high-performing content and actually scale ROI. Lastly, ContentQ is a finalist for the Best Measurement or Analytics Platform at this year’s AdExchanger Awards. What was your reaction when you heard the news? 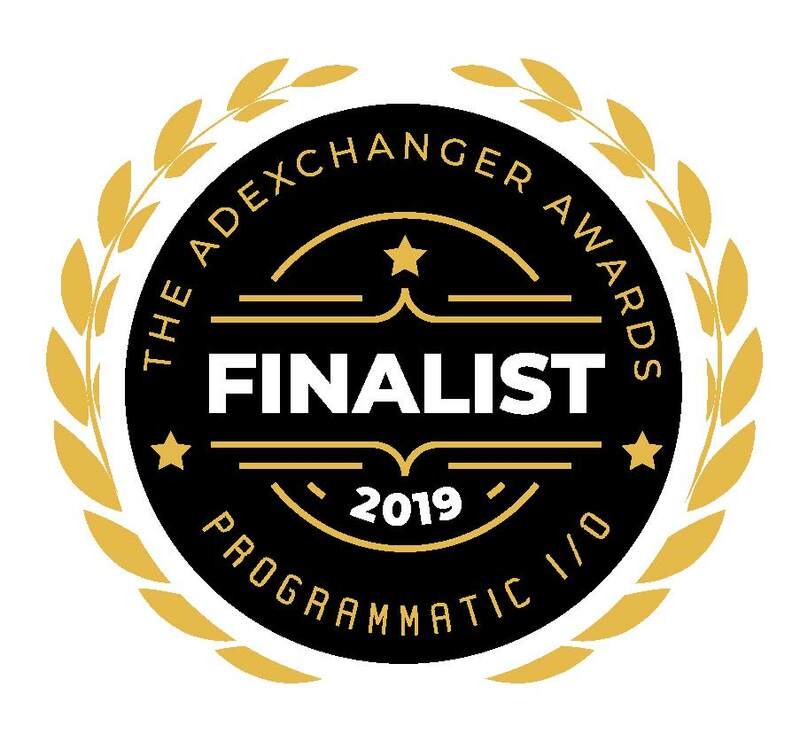 [ED] In an era of platform fatigue and tech/data overload, Nativo’s development team has been thoughtful about creating a tool that is both powerful in performance and highly intuitive to use, so the AdExchanger nomination is a great validation of their efforts.